It has been a big month for me here with my watch fetish and IFA 2015 only made it more exciting (and made my Christmas list SO much more expensive)! Yesterday Motorola announced three new watches under the Moto 360 umbrella. There will be a men’s and women’s line as well as a Sport edition. The men’s will come in two sizes, a 46mm and 42mm. The women’s will be 42mm. Motorola is upping the specs from the original Moto 360 and giving us a lot of options through Moto Maker. There are different cases, bezel colors, bezel treatments and several different bands. You can mix and match the different options to get your very own personalized experience. The device comes with a new Snapdragon 400 quard core processor with 1.2 GHz compared to last years single core Texas Instruments processor. The memory remains at 512MB and it comes with 4GB of internal storage. 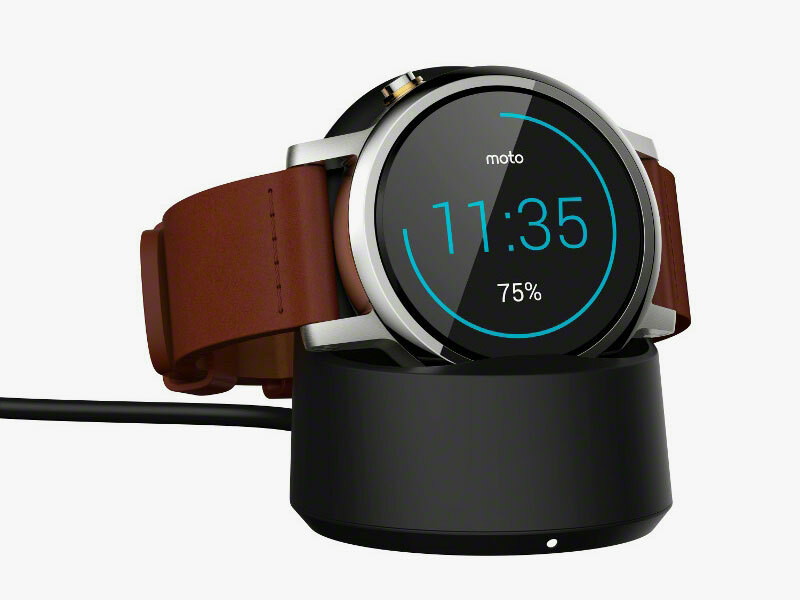 You can currently pre-order the new Moto 360 from the Google Play Store for $299.99. The listing indicates the watch should ship in three to four weeks. Check out the video below for Motorola’s first commercial with some highlights and the full specs on the device below (courtesy of Phandroid). BATTERY Men’s 42mm and Women’s: 300mAh – Up to 1.5 days of mixed use with Ambient off. Up to a full day of mixed use with Ambient on. Men’s 46mm: 400mAh – Up to 2 days of mixed use with Ambient off. Up to a full day of mixed use with Ambient on.